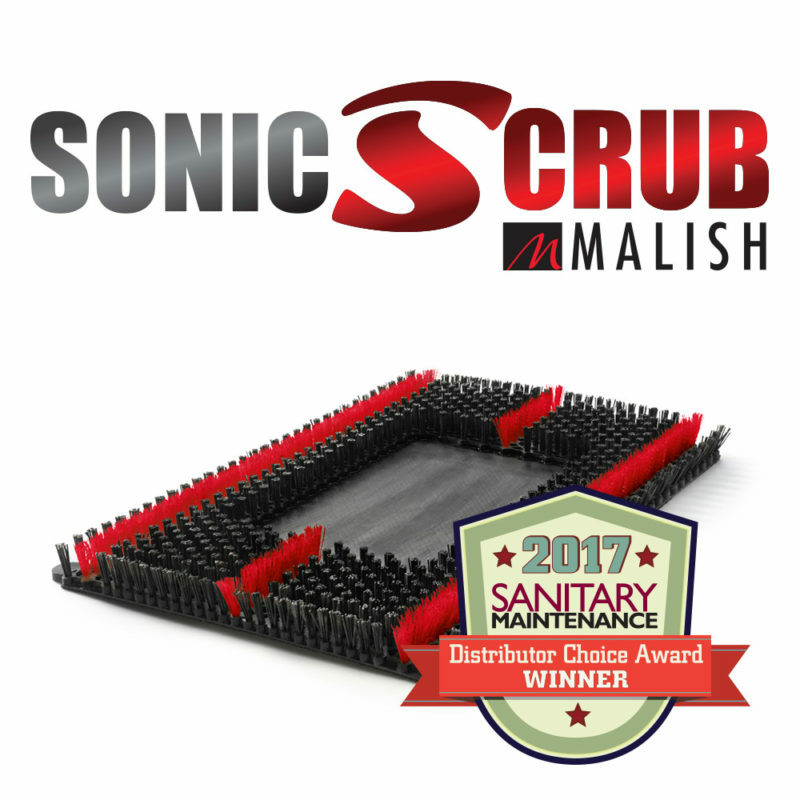 The Malish Corporation has announced that its Sonic Scrub product has received the prestigious Distributor Choice Award by Sanitary Maintenance Magazine. The Sanitary Maintenance Distributor Choice Awards Program recognizes the best and most useful sanitary supply products of the year, as determined by sanitary supply distributors who voted from a list of over 350 products in an online campaign. The voters represent every type of distributor active in the industry including janitorial, paper, foodservice, industrial and wholesale. The Sonic Scrub by Malish features an innovative patent pending (US and International) design that is both cost-effective and more efficient than standard floor pads. The product is tufted with polypropylene and durable nylon filament to handle the toughest cleaning jobs. The rectangular shape is ideally suited for hard-to-reach wall edges and corners. Sonic Scrub is recommended for heavy duty wet scrubbing or light stripping on VCT, quarry, grouted tile and terrazzo flooring. Founded in 1945, The Malish Corporation specializes in the manufacturing of rotary or disc brushes, janitorial brushes, foodservice brushes and the Diamabrush™ By Malish Floor Preparation System. The company is also a custom extruder of thermoplastic tubes and profiles. Headquartered in Mentor, Ohio, The Malish Corporation operates manufacturing facilities in North America and Asia as well as a distribution center in Europe. With a reputation for quality, engineering, testing and integration, The Malish Corporation provides every customer with personalized business solutions.